Need Financial Services? – click here! Before installing or replacing an HVAC system, you should consider a home energy audit to assess the energy efficiency of your home. Many utility companies offer free or discounted home energy audits that can lead to additional savings in rebates or other home-related incentive programs. For example, Duke Energy offers many incentives for home energy efficiency such as free home energy assessments, rebates for duct repair, insulation upgrades, heat pump replacement, and much more. Not only will these programs help to defray the costs of the improvements, but also tighten your home’s envelope, increasing energy efficiency and saving you additional money in monthly energy costs. Many people, including your HVAC contractor, might prefer a particular brand to another. Many variables such as the square footage, design, layout of the property, installation methods, and contractor preferences will determine the best equipment suited for your home. While the brand may carry some importance in your project, the contractor you choose will have the biggest impact on your job as they will control the overall quality of the installation as well as the system performance and efficiency. Split systems are the most common type of HVAC system for heating and cooling your home. It utilizes equipment both inside with an air handler and evaporator coil, and outside with condensing unit or compressor of your home. They are connected by supply lines that carry refrigerant between the two components. Most often, split systems rely on a circuit of ductwork to deliver conditioned air throughout the home. Listed below are other types of HVAC systems commonly used when a traditional split system is not feasible. Packaged systems utilize a single cabinet to house the necessary HVAC components to both heat and cool your home. The systems, which utilize a circuit of air delivery ducts, are often mounted on rooftops or in crawl spaces underneath structures constructed in such a way to favor a packaged system. Similar to a split HVAC system, ductless mini splits have both inside and outside components to provide conditioned air. Since these systems do not require ducts, installation is much easier, they can be less expensive to install and are ideal for properties with space limitations or those where traditional ductwork is not feasible. 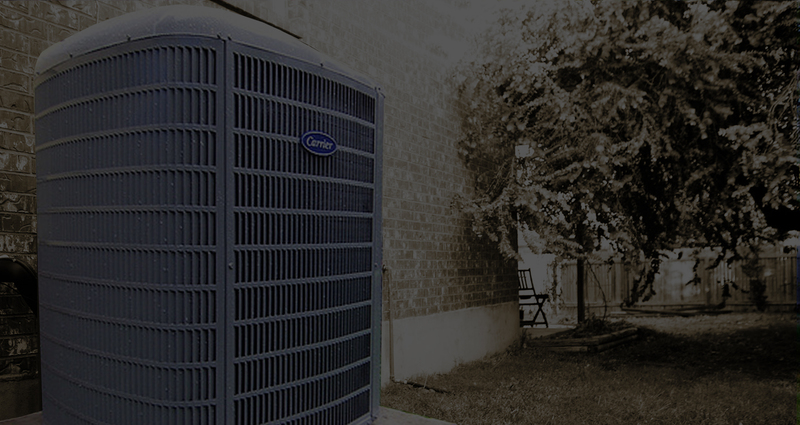 Heat pumps are high-efficient systems capable of providing both cooling and heating your home. Although they will cost you more upfront, the energy savings usually pay for the increased costs within five years. Heat pump systems offer an efficient alternative to air conditioners and furnace heating systems by providing conditioned air at approximately one-quarter of their cost. A heat pump works primarily by transferring heat to the inside of your home, and vice versa during the summer months. Designed by Arcos Multimedia Group | Powered by Arcos Host.